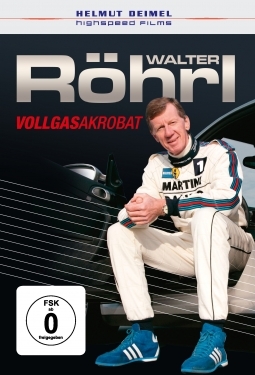 I don’t think it is a surprise that next to the numerous books about Walter Röhrl, there’s another movie about the German Rally legend that celebrated 70th birthday in 2017. Helmut Diemel shows in a 60 minute movie called ‘Vollgasakrobat’ (Full Speed Acrobat) amongst other some never released scenes from the motorsport career of Walter Röhrl. Helmut Diemel assures that even the die-hard fans of Walter Röhrl will be surprised, and even though we don’t consider ourselves as the biggest rally lovers and fans of Walter Röhrl, we can confirm that statement. Helmut Diemel worked years ago on shootings of the rally career of Walter Röhrl, including the legendary footage of his foots on the pedals in the 1985 Rally of Portugal in the famous Audi Quattro that can be seen in this movie too.